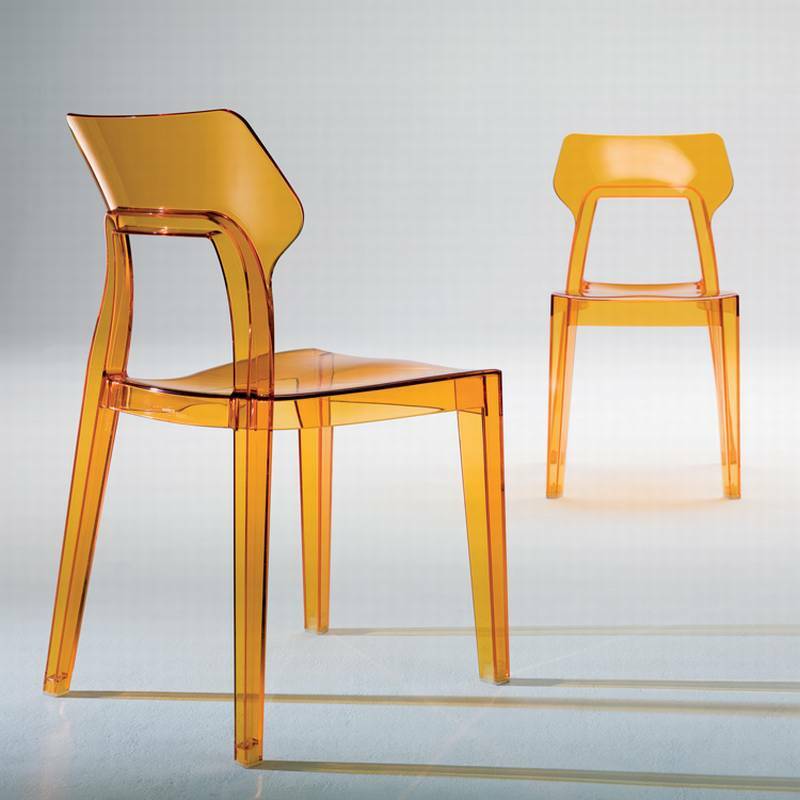 Description Injection moulded polycarbonate dining chair. Opaque and transparent options are available. Aria is a new dining chair from Bonaldo, with an ultra-stylish, ultra-modern design. The seat is slim and sleek and comes in a wide choice of contemporary leather and fabric colours. The chair features a cantilever base available in chromed or lacquered finishes. The overall look of the chair is very clean and would complement any modern dining or office space. The choices of colours available means the chair can be fun or formal.